How good are your observational skills? Here is time to test your observational power. In this cartoon picture, there are four hidden words. 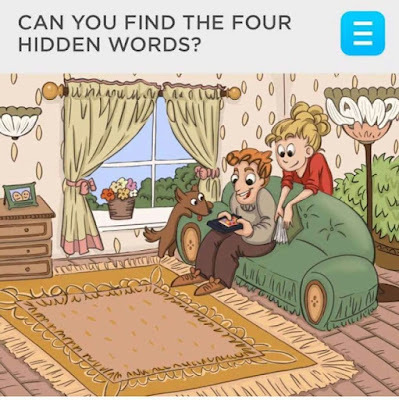 Can you find all these four hidden words in this puzzle picture image? Can you find the 4 hidden words in this puzzle picture? Three of the hidden words are marked in the answer image. Do post your comments in case you are able to find the 4th word which is not marked!